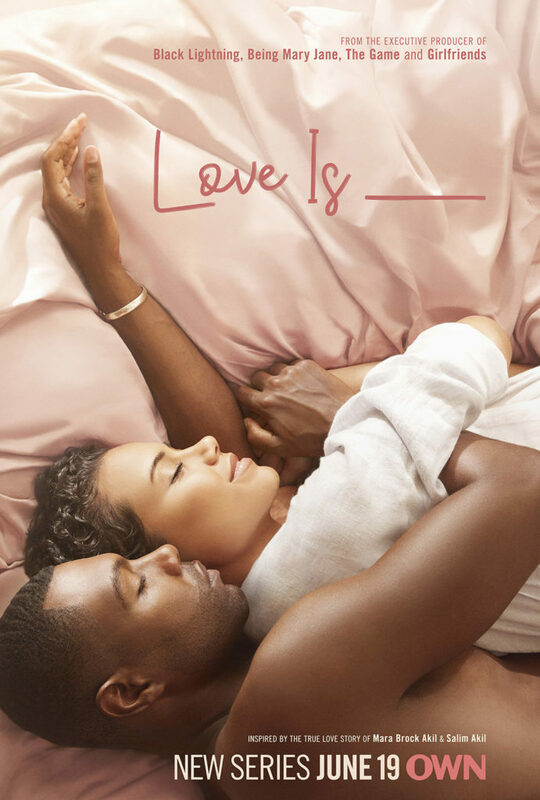 Los Angeles – OWN has announced that its new original one-hour romantic drama from award-winning producers Mara Brock Akil (“Being Mary Jane,” “The Game,” “Girlfriends”) and Salim Akil (“Black Lightning”) will premiere on Tuesday, June 19 at 10 p.m. ET/PT (after Tyler Perry’s “The Haves and the Have Nots at 9 p.m. ET/PT). Brock Akil serves as showrunner on the series, which she and Akil created and executive produce through their company Akil Productions, in association with Warner Horizon Scripted Television. Set primarily in 1990’s Los Angeles against the backdrop of Black Hollywood, “Love Is__” follows Nuri (Michele Weaver) and Yasir (Will Catlett), a couple from seemingly opposite worlds, as they chase their dreams and learn to follow their hearts. Told from the perspective of the couple’s present-day selves, the romantic drama also revisits the social issues and vibrant black culture of that time reflecting on how it all aligned to shape the couple they have become nearly 20 years later — a power couple navigating a complex set of social codes while also balancing successful careers and a beautiful family. Drawing inspiration from creators Mara Brock Akil and Salim Akil’s own relationship journey, the series explores the highs, the lows, and the magic of falling (and staying) in love. For a Sneak Peek of the Series Please Click Here: WATCHOWN.tv/LoveIsIntro. A division of the Warner Bros. Television Group, Warner Horizon Scripted Television was founded in 2006 and is one of the entertainment industry’s leading producers of dramatic and comedic programming for the cable and subscription/on-demand marketplace. Series produced by Warner Horizon Scripted Television include “Animal Kingdom” and “Claws” for TNT; “People of Earth” for TBS; “American Woman” for Paramount Network; “Famous in Love” for Freeform; “Fuller House” and “Longmire” for Netflix; “Krypton” for SYFY; “Love Is___,” “Queen Sugar,” and the Untitled Tarell Alvin McCraney Project for OWN; and “You” for Lifetime. “Power” is a visionary drama that straddles the glamorous Manhattan lifestyles of the rich and infamous and the underworld of the international drug trade. 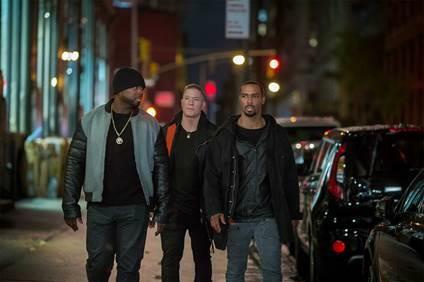 The cast is led by Omari Hardwick as James “Ghost” St. Patrick, a man trying to escape his role as a drug kingpin for a legitimized life in the elite of NYC; Joseph Sikora as his brother in arms in the drug business, Tommy Egan; Naturi Naughtonplays Ghost’s fierce wife Tasha St. Patrick; Lela Loren is his first love, Assistant U.S. Attorney Angela Valdes; andCurtis “50 Cent” Jackson as Ghost’s former boss and mentor, Kanan Starks. La La Anthony and Rotimi Akinosho also star. Creator Courtney Kemp also serves as showrunner and executive producer on the series. “Power” is also produced by G-Unit Films and Television, the production company launched by executive producer Curtis “50 Cent” Jackson, and Canton’s Atmosphere Entertainment MM. NEW YORK, May 7, 2018 – Today marks the one-year anniversary of the release of 82 of the 276 Nigerian school girls who were kidnapped in 2014 from a school in Chibok, Northern Nigeria, and hidden in the vast Sambisa forest for three years, by Boko Haram, a violent Islamic insurgent movement. 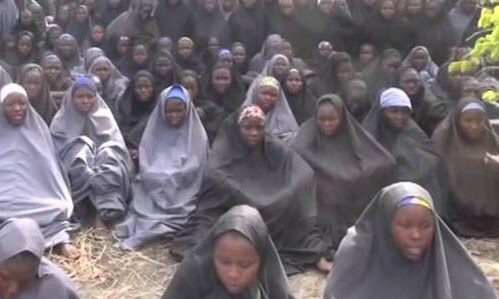 Their fate could not be more different than that of thousands of other Nigerian women and girls who have fallen prey to Boko Haram and are known as the “Forgotten Girls”. In the northeastern city of Maiduguri, which has been the site of numerous attacks by Boko Haram and remains extremely volatile, some of the “Forgotten Girls” share deeply disturbing stories of their abduction and treatment at the hands of the terrorist group – and eventual escape from captivity. STOLEN DAUGHTERS: KIDNAPPED BY BOKO HARAM is a coproduction with BBC2and ARTE France; directed and produced by Karen Edwards, director Gemma Atwal, executive producer, Fiona Stourton, executive producer for BBC This World, Sam Bagnall. For HBO: executive producer, Nancy Abraham.